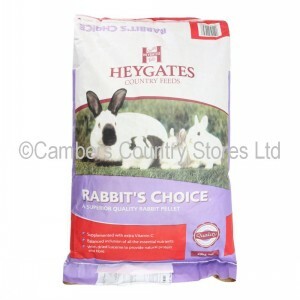 These pellets are a superior quality 3mm pellet suitable for domestic and commercial rabbits. The quality raw materials are packed with proteins, minerals and vitamins to satisfy all your rabbit's nutritional requirements. Vitamin C is added to the pellets which makes this feed also suitable for Guinea Pigs and other small mammals. Made up from 17% PROTEIN 16% FIBRE.